Learn about the Lake and its Wonderful Landscape at our Nature Seminar ! Learn about the three things that created Lake Tahoe and hoe it formed. Also become familiar with the different types of trees, wildlife, landscape, and forest health in the Tahoe Basin, from Heavenly Eco Ranger Fabrizio! 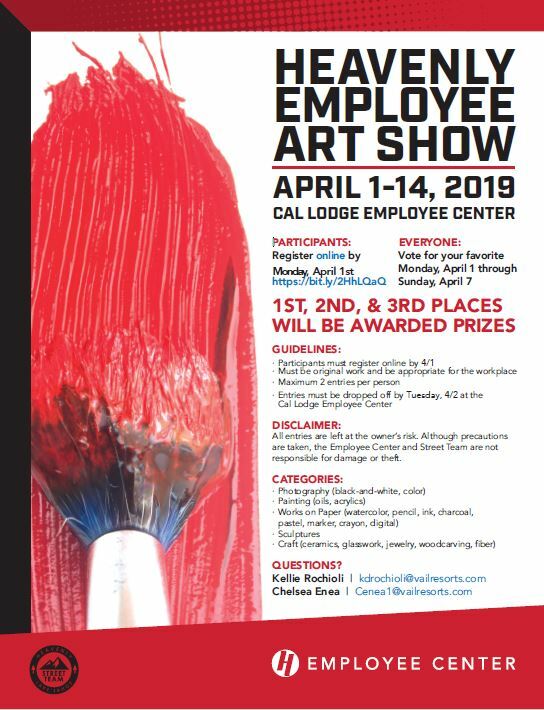 Enter the Employee Art Show! All entries must be in by April 1st by registering online: https://bit.ly/2HhLQaQ . Vote for your favorite 04/01-04/07 in the Employee Center. Learn How to Tune Your Gear at the Tuning Seminar ! Learn how to tune your gear to stay safe ! 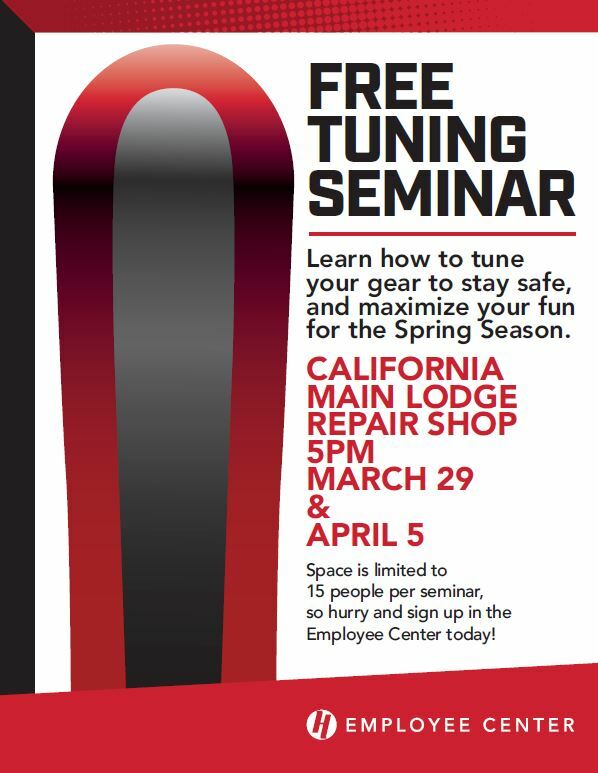 Join the tuning seminar in the repair shop at 5pm, April 5th! Sign up in the Employee Center inside the California Main Lodge today! 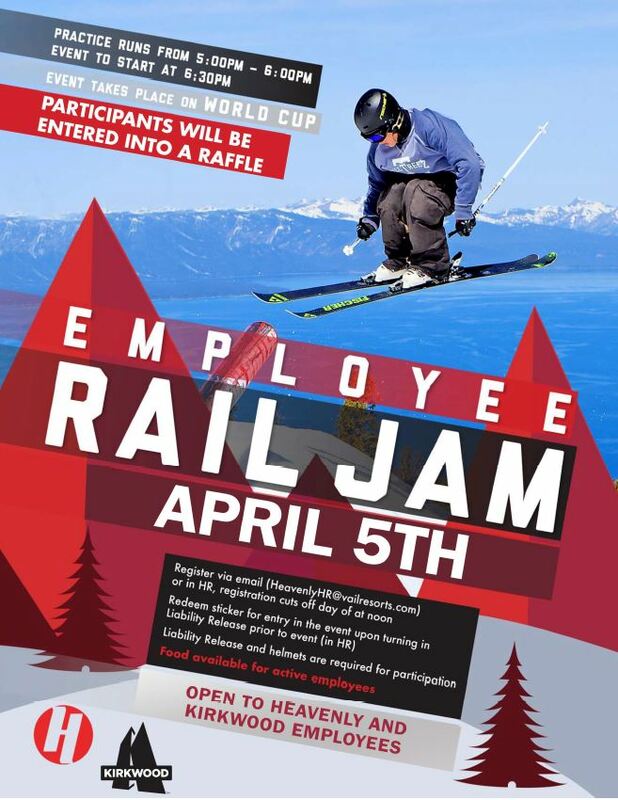 Join us for the Employee Rail Jam April 5th, on World Cup. Register in a HR or by emailing HeavenlyHR@vailresorts.com. Event Starts at 6:30pm!